I wanted to check in and show you an amazing project my mom recently completed. This is one of those projects that I wish I could take credit for, but unfortunately, they are not my stairs. 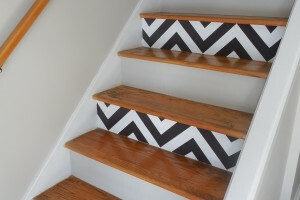 My mom painted these chevron stripes on the stairs, herself! I love the way they came out. It really stops you in your tracks the moment you walk in the front door. Isn’t this project incredible?!? 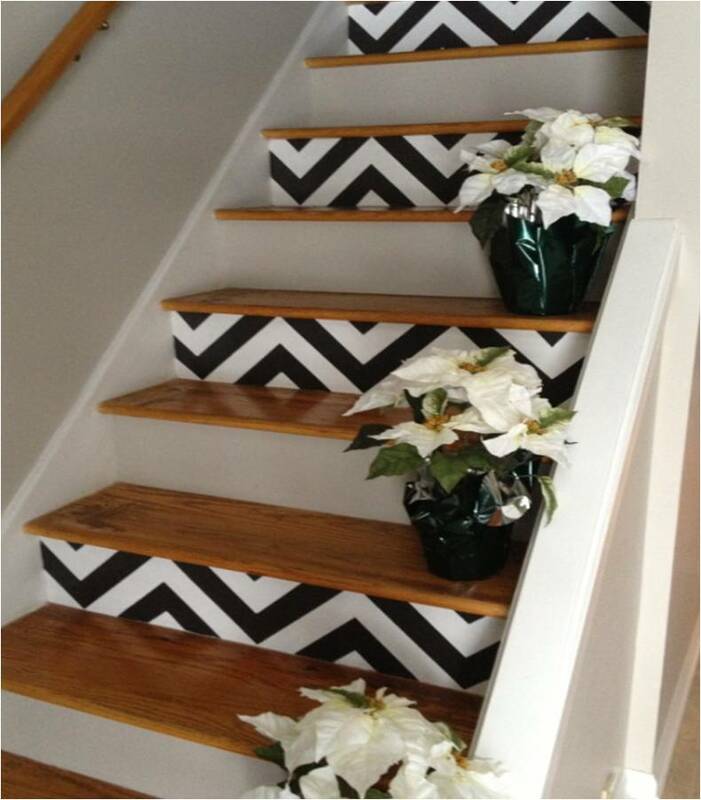 Chevron is no longer just for pillows and drapery! I also love this last image, which shows a glimpse into her wall stripes. I keep telling her she needs to start a blog and document these projects! I love that she painted every other stair. I think it’s the perfect amount of pattern. 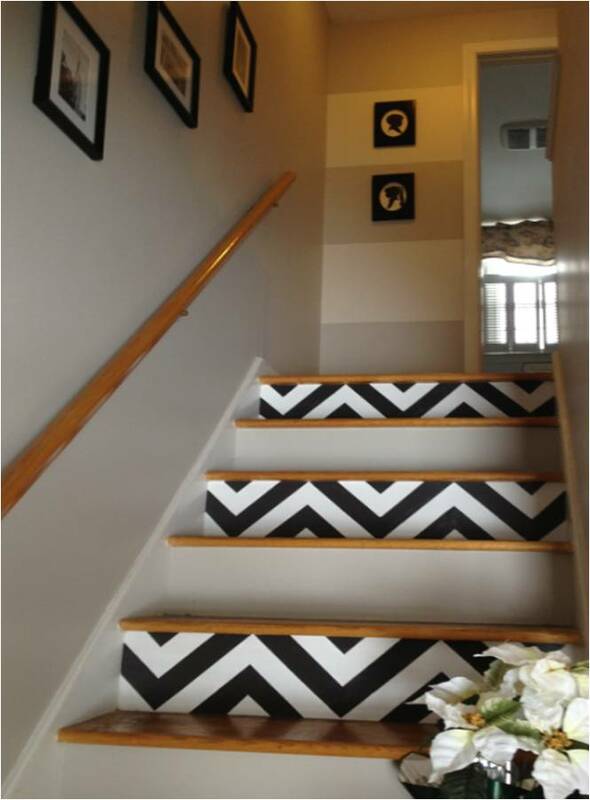 I also love that the alternating stairs are painted a soft gray, so there is not too much contrast. 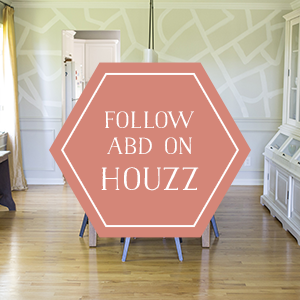 To follow the same step by step instructions she did, visit HERE. totally fabulous!!! Makes me wish we had an upstairs! Merry Christmas to you Amber! What a fun project! Love it! Merry Christmas, Amber! Those are outstanding!!! Your mom is super talented! Like mother like daughter…. Merry Christmas!! 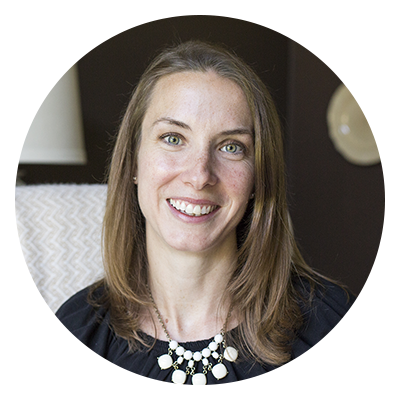 Love her fabulous project! Thanks for sharing it, Amber ~ hope your Christmas was the best! Oh my! I love how it turned out. Your stairs look so great. And by seeing your stairs, it made me wish that our stairs could have the same look too. What a unique project! Thinking about this one for my steps. 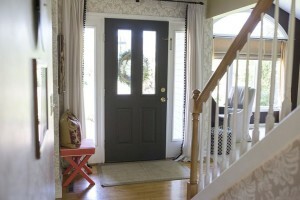 Great for an entrance way. Thanks for sharing. Looking for the template, I wouldn’t call myself the most artistic person, but I love a good challenge.